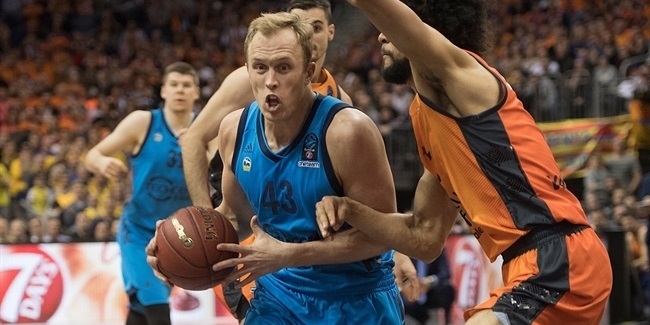 As many as six teams celebrated advancing to the Top 16 in the 7DAYS EuroCup Round 7. 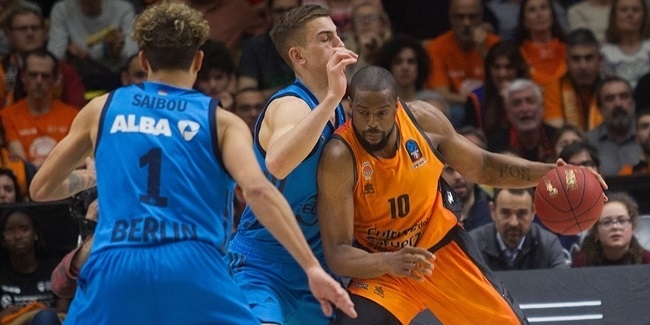 One of them, Unicaja Malaga, also saw a big individual performance by its own Kyle Fogg, who, with a performance index rating of 33, claimed weekly MVP honors. Fogg had his best game of the season, scoring 31 points (including 6 of 10 threes), pulling 2 rebounds, dishing 3 assists and drawing 5 fouls for a complete performance at home that led his team into the next phase. Maximilian Kleber was next in line this week with a performance index rating of 31. Kleber scored 20 points, pulled 10 boards, had 2 steals and drew 6 fouls to also lead his team into the Top 16. Niels Giffey of ALBA Berlin and Alexey Shved of Khimki Moscow Region completed the best individual performances of Round 9 with respective performance index ratings of 25. Fogg was also the best scorer this week thanks to his 31 points, and after him was UCAM Murcia's Billy Baron and his 24 points, his new best mark of the season. Kleber was the best player under the glasses with his 10 rebounds, and three players followed him this week with 9 boards each: Marko Todorovic of Khimki, Ben Madgen of Lietkabelis Panevezys and Tim Ohlbrecht of ratiopharm Ulm. Two players topped the assists rankings this week with 9 decisive passes each: Marcus Williams of Buducnost VOLI Podgorica and Yotam Halperin of Hapoel Bank Yahav Jerusalem. 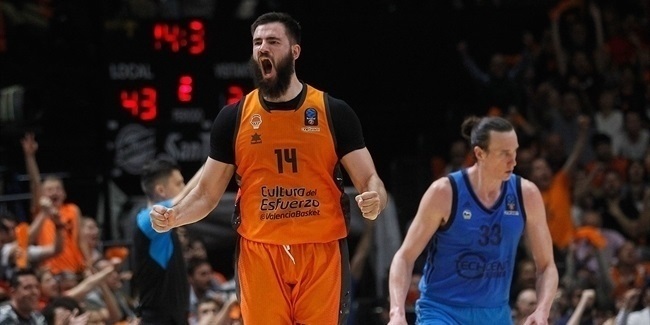 In the defensive end of the court, Unicaja's Alberto Diaz topped the steals rankings with 5, while Viacheslav Kravtsov of Valencia Basket stopped the most offensive plays this week with his 3 blocks.